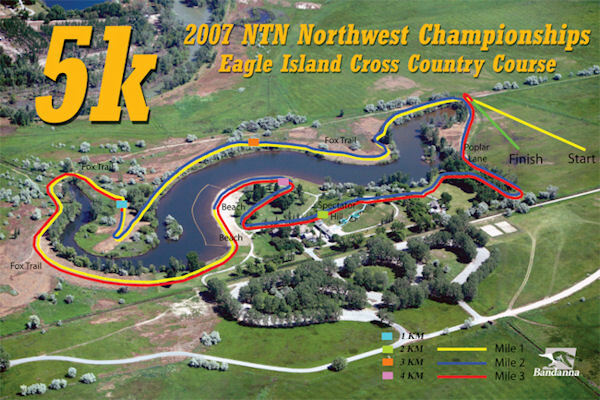 About Eagle Island Park, Boise ID, scene of many major meets and now the host of the first Northwest Regional championships of the Nike Team Nationals cross country meet. Top two teams at the regional will qualify for the 4th Nike Team Nationals at Portland OR on December 1.
with its 50-meter climb and fast, 90-meter descent. said 'It's hard, but we really like it.'" surfaces. This was different. Our kids liked it a lot." 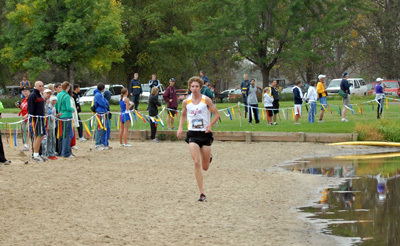 Nike Team Nationals Northwest Regional meet. music brings runners home through a long, sustained kick to the finish.